Bill Luke Suzuki Car Repairs and Service Shop – Proudly Serving Arizona! The staff at Bill Luke Suzuki believes that making sure your vehicle is being maintained correctly is essential to maximizing your vehicle’s performance. We have a fully experienced servicing staff that takes pride in their expertise in maintaining all types of vehicles including your Suzuki and FIAT Warranty work. Our repair center does all types of servicing from oil changes, alignments, and all other major repairs. We will make sure you’re satisfied with the level of care and service we provide. We are Arizona’s Only Suzuki Dealer! Get all of your warranty repairs done right, only at Bill Luke Suzuki! Located at 7799 South Autoplex Loop, Tempe, Arizona, Bill Luke Suzuki is your convenient service and repair shop that is proudly serving the Phoenix, Scottsdale, and Avondale areas. 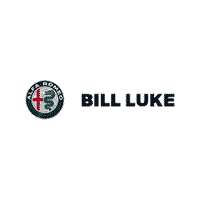 Want to schedule an appointment with us at Bill Luke Suzuki servicing center? Then feel free to fill out our service form or give us a call at 480-496-8888.